I'm looking into changing my e-mail newsletter from PHPList – which is pretty good for a free tool, but obviously lack features compared to pricy ESPs (e-mail service providers), and deliverability is of course smaller, as the ESPs spend a lot of time tuning theirs. 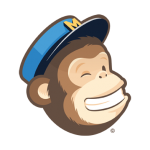 I'm checking out several ESPs, such as Mailchimp and GetResponse. One pretty cool feature added by GetResponse recently is E-Mail to Speech. It allows your clients to hear your e-mail instead of just reading it. The quality of the speech is pretty good. I still prefer to read (which is much faster), but I can see busy customers – or customers on the move – opting to use it. I'm pretty sure they'll post statistics eventually (unless they are awful ), and I'm very interested to see what the exact effect of this will be.